Organizations have servers which stores main information about the organizations. The data is stored in a centralized way and the clients do need to maintain those data in their systems, they use the server instead; to access or retrieve those data. A server is a very highly configured system which stores all the data about the organization. There are several versions of Windows which are used in the servers like Windows Servers 2003, and Windows Server 2008. Now, if an organization does not want to have a server; may be temporarily due to financial reasons or may be the purpose is not so important to get a complete server, the organization can use VPN. VPN stands for Virtual Private Network and is an easy replacement for the big costly servers. Creating a VPN is really cost effective way to serve the purpose of server but only for a limited use. The VPN also operates on internet. It may be understood by an example of a bank; a bank has a server which stores all the data of the bank. The employees handling the client machines access the data from these main servers through internet. 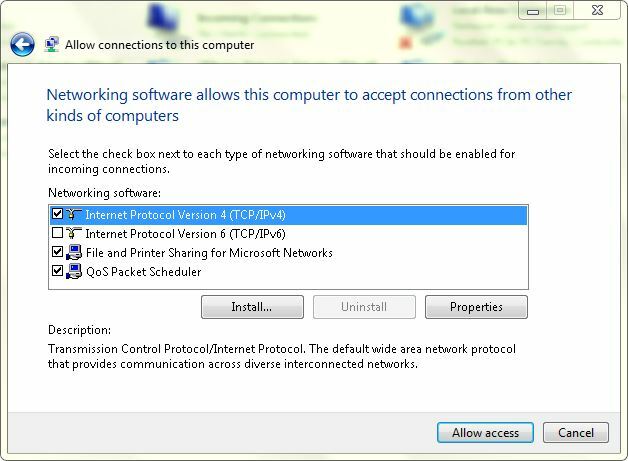 The VPN creates a tunnel through which the client sends the signal to the server and through this tunnel only all the communication between VPN server and VPN clients takes place. The tunnel avoids interruption by any external links. It also reduces traffic which results to an easy, fluent and fast communication. 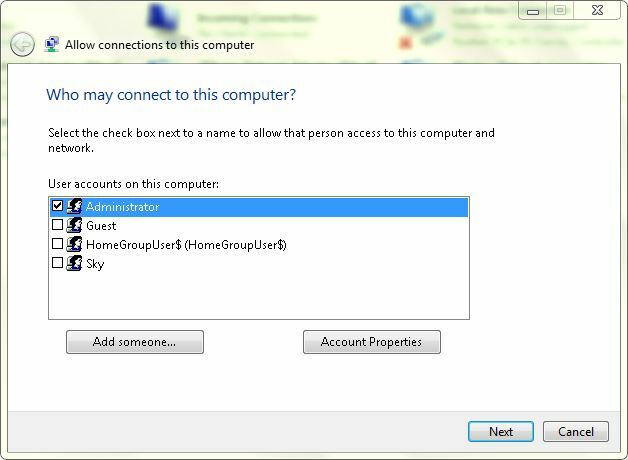 ■Use Windows administrator account to log on to the computer. ■At the bottom of the Start menu, in the search box, type NCPA.CPL command and hit Enter key. 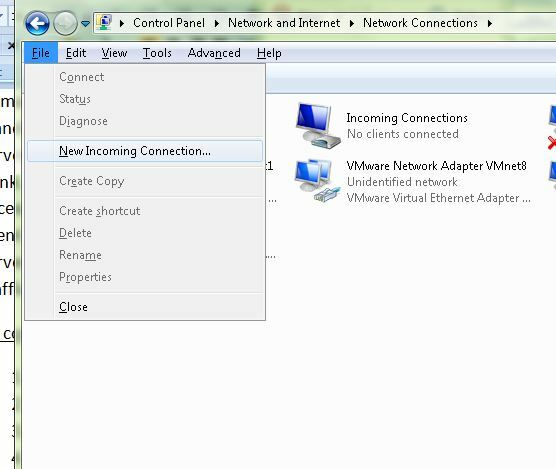 ■On the opened Network Connections window, press Alt + F.
■From the displayed drop-down menu, click New Incoming Connection. ■On the opened window, check the checkboxes representing the accounts that should be allowed to handle the VPN establishment requests. ■On the next window, check the Through the Internet checkbox. ■On the window that appears next, select or deselect the protocols as required. ■Once done, click Allow access. Congratulations!! 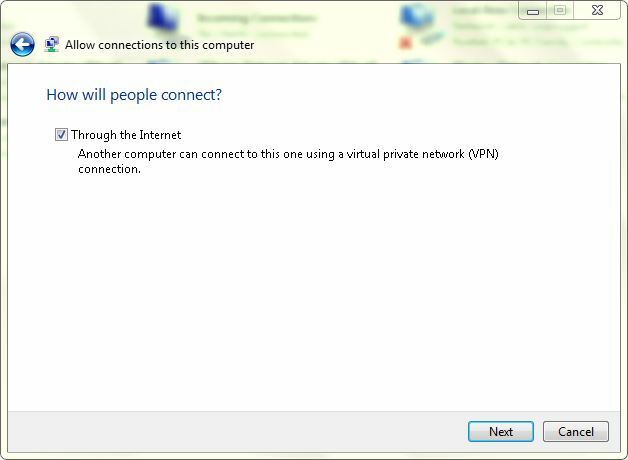 You have just configured your Windows computer to act as a VPN server. Question Can win7 be configured to make user changes temporary?